80W-90 is a multi-purpose sulfur-phosphorus type hypo gear lubricant that meets API GL5 and MT1 requirements. Blended from base oils fortified with VI improvers, rust inhibitors, foam suppressants and LAT's LFR additive along with extreme pressure additives. 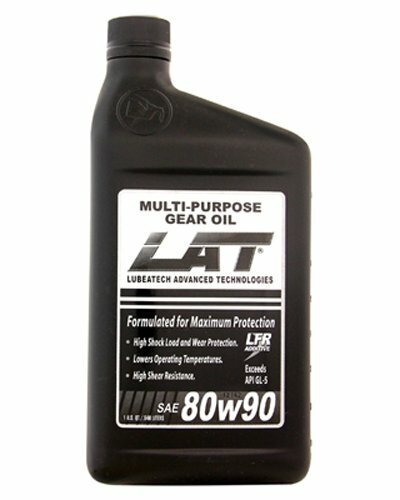 If you have any questions about this product by LAT Racing Oils, contact us by completing and submitting the form below. If you are looking for a specif part number, please include it with your message.